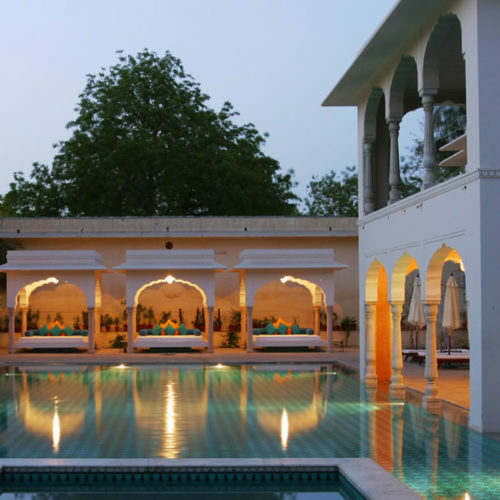 The Samode Haveli is the townhouse of the Samode family lying in the heart of Jaipur. 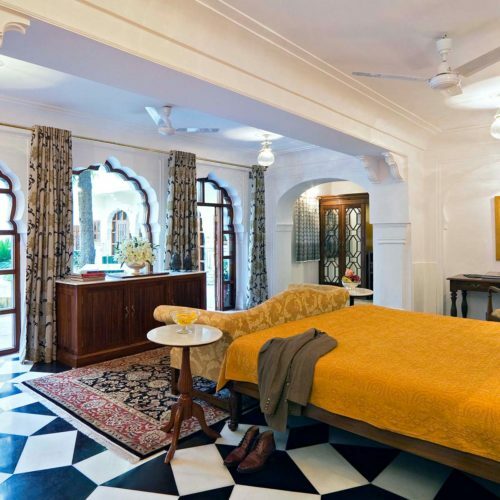 Some of the interior walls boast fabulous frescoes and mirror-work and, with its large gardens providing peaceful sanctuary from one of the city's busiest streets. 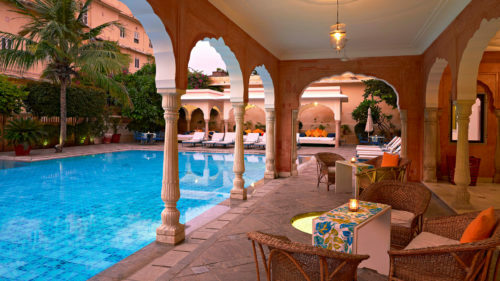 The huge new swimming pool is magnificent and one of Jaipur's finest and is a draw in itself. 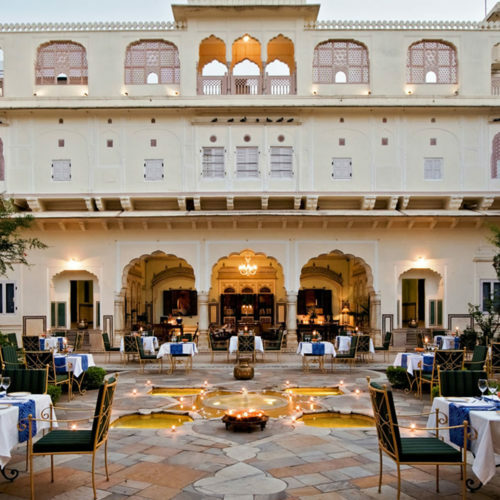 Serving up some of the finest Rajasthani cooking, the Samode Haveli made it into our article of the best restaurants in the region.